Resonance wanders the empty city, searching again for someone she hasn't met. She does not know what to expect, exactly. The mystery of it only makes her heart flutter more. 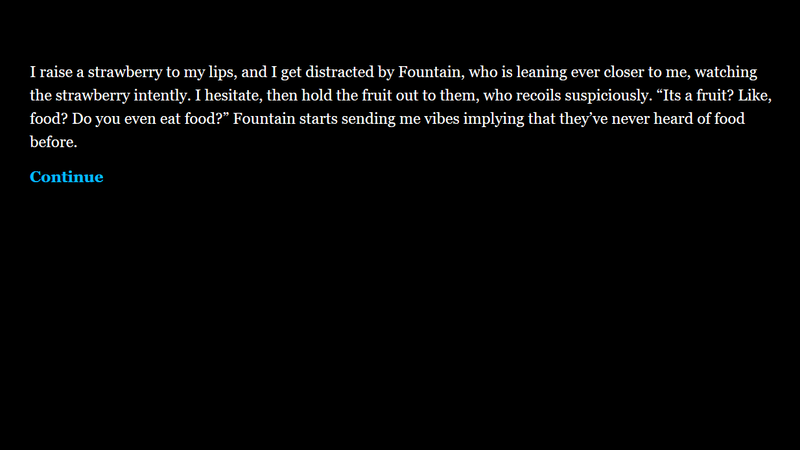 The Fountain At The City's End is an 18+ only queer romance story between a trans girl named Resonance (She/Her) and a non-binary humanoid called Fountain (They/Them). 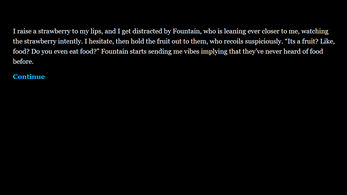 This story is NSFW, 18+ only, contains explicit descriptions of numerous sexual acts, and includes suspension, hand holding, kissing, breathplay, breakfast together, pseudo-liquid tentacles, running out of space as a physical condition, and moments of soft kindness.